The Hull group, which includes domestic, commercial and marine fuel distribution, and shipping, among its core operations, saw profits increase from £3.3m in 2013 to £4.4m last year. Group turnover fell from £490m in 2013 to £453m, despite an increase in the overall volume of fuel sold by the company in the year to December 31st, 2014, as a result of the fall in oil prices. 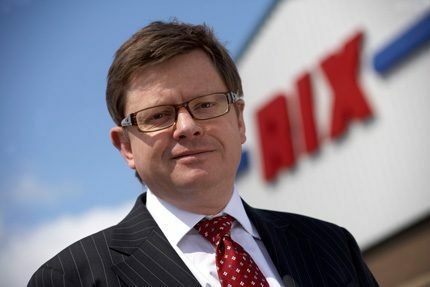 Rory Clarke, managing director Rix Petroleum and director of J.R. Rix and Sons, said profit had been bolstered by Rix Shipping, which increased turnover from £3.8m to £6.8m and returned a profit of £2m. Rix Sea Shuttle, the part of Rix Shipping which supplies crew transfer vessels to the windfarm sector, won a number of contracts at home and abroad, as activity in Europe’s renewable energy industry stepped up. 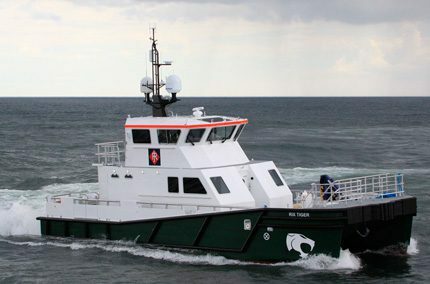 Earlier this year Rix Sea Shuttle announced the order of a fifth crew transfer vessel as demand across the offshore windfarm industry continues to grow. The company will take delivery of the 27.4 metre ship, made by French company Piriou, in April, 2016. The company’s tanker and barge fleet operations, and its stevedoring activities in Hull and Montrose, also reported an increase in turnover and profitability. Mr Clarke said: “2014 was a solid performance for the Group and an improvement overall on the 2013 results. “The performance of the property business improved as a result of greater demand for warehouse facilities and our car sales business, Jordans, also had a better year. Victory Leisure Homes, the Rix-owned caravan and lodge manufacturer based at Gilberdyke in East Yorkshire, saw turnover increase from £10m in 2013 to £12m last year and Jordans went from £14.6m to £17.4m in the same period.